I am a huge Supernatural fan. I’ve watched the show since the first season. They are heading into Season 13 this fall! It became the longest-running American fantasy TV series in it’s 11th season. The show centers around two brothers – Sam and Dean Winchester – who hunt and fight monsters and evil itself. In Season 4, they introduced the character of Castiel, an angel, who has become very important to the show as well. I decided last year that I wanted to make a set of Sam, Dean and Castiel 18 inch dolls. 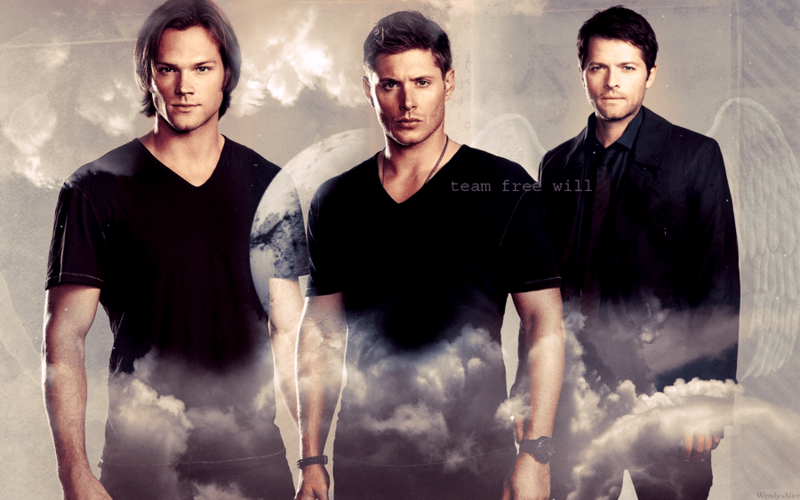 Team Free Will! Firstly, because I love the show so much. Secondly, because I thought they might be useful for GISHWHES. It took me about a year to assemble of the pieces I needed. I knew that I wanted to use AG dolls to make these customs. The first thing I decided on was which face mold I wanted to use for each of these characters. Since Castiel is my favourite, I started with him. Cas doesn’t smile much. Like, hardly ever. 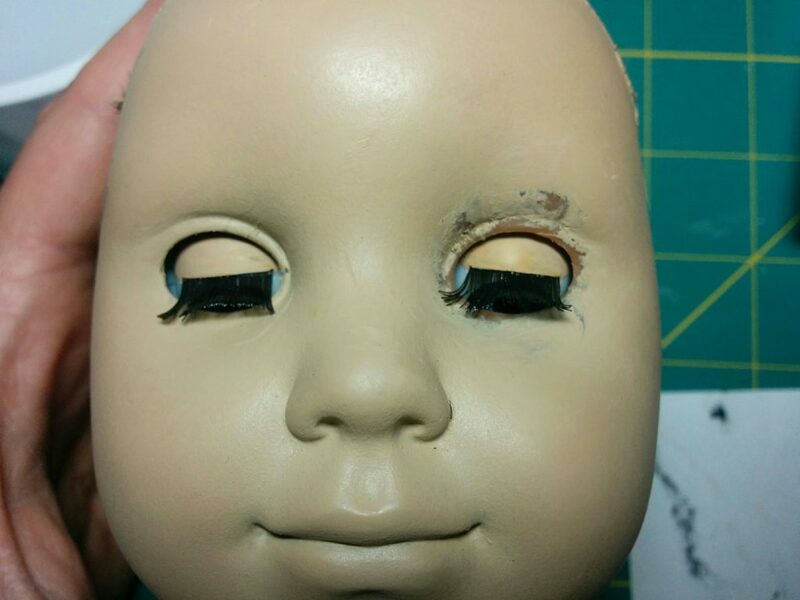 So I knew I wanted to use the Kaya face mold for his doll. Back when I made this decision, Logan had not come out. 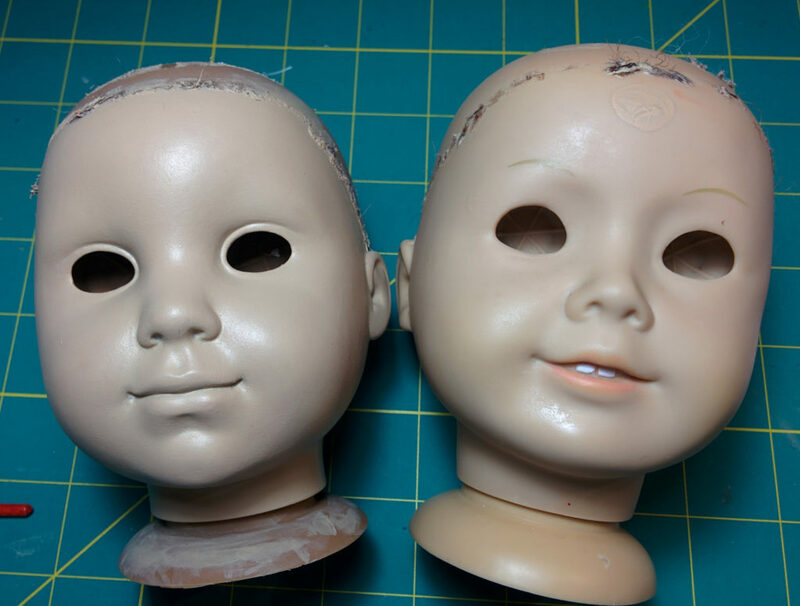 So I bought an eyeless, wigless Kaya head and set to work painting it. The thing about painting vinyl is that you have to use really thin paints and do a million layers. This was hard for me as I’m not the most patient person in the world. This is what the head looked like after about 10 coats. The lighting is not the greatest in that last pic but I realised that the skin tone wasn’t warm enough so I ended up doing about 10 more layers with a much warmer tone. I used acrylic paints for this repaint. Folk Art Country Twill with some Folk Art Crushed Coral mixed in for warmth. I also added Golden Gel Medium in Matte. I did that for two reasons…1) the paint looked too flat without it and 2) it gives some strength and flexibility (the importance of this will become apparent shortly) to the acrylic paint. I also did a lot of sanding in between the last 20 or so layers with 600 grit sandpaper. Once I was done, I sealed it with Mister Super Clear. 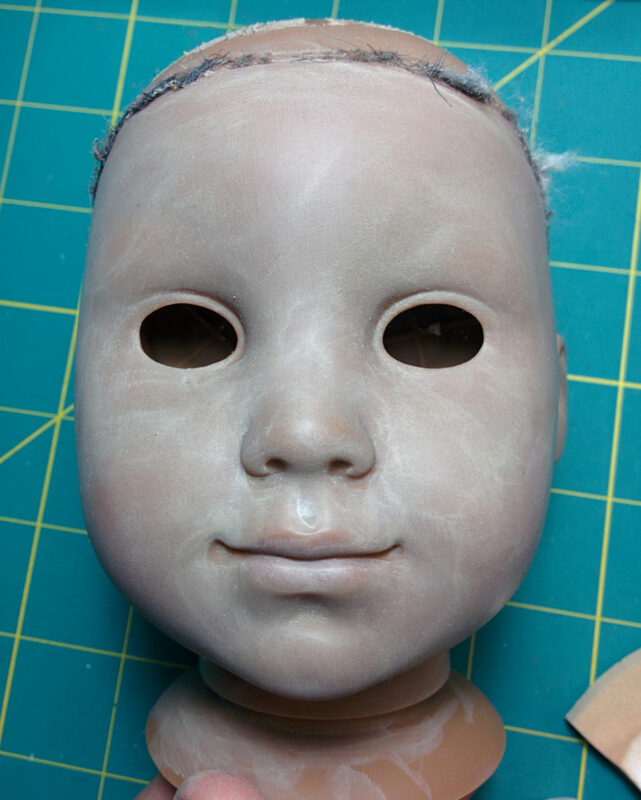 So, now I had a light skinned Kaya head…but I realised that the paint might get totally destroyed when I put Cas’s eyes in. 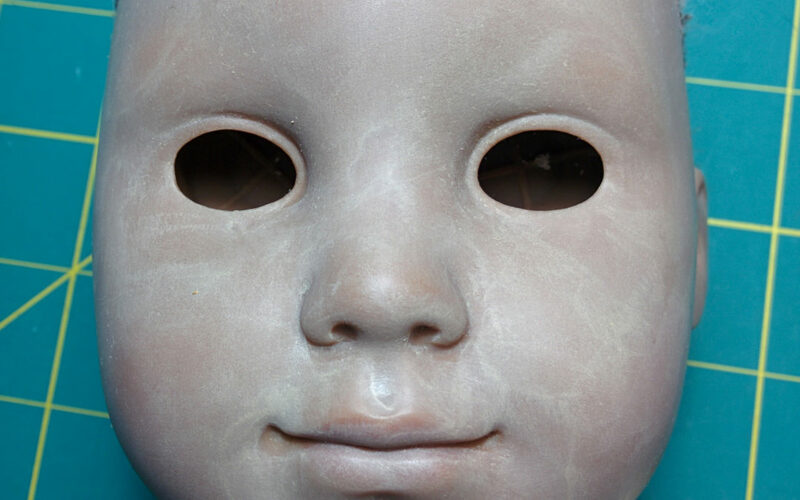 I don’t know if you’ve ever done an eye swap, but it’s not a gentle process. At all. I was hoping that the gel medium would help the paint flex enough that it wouldn’t crack or break off. And I’m happy to report, it worked! 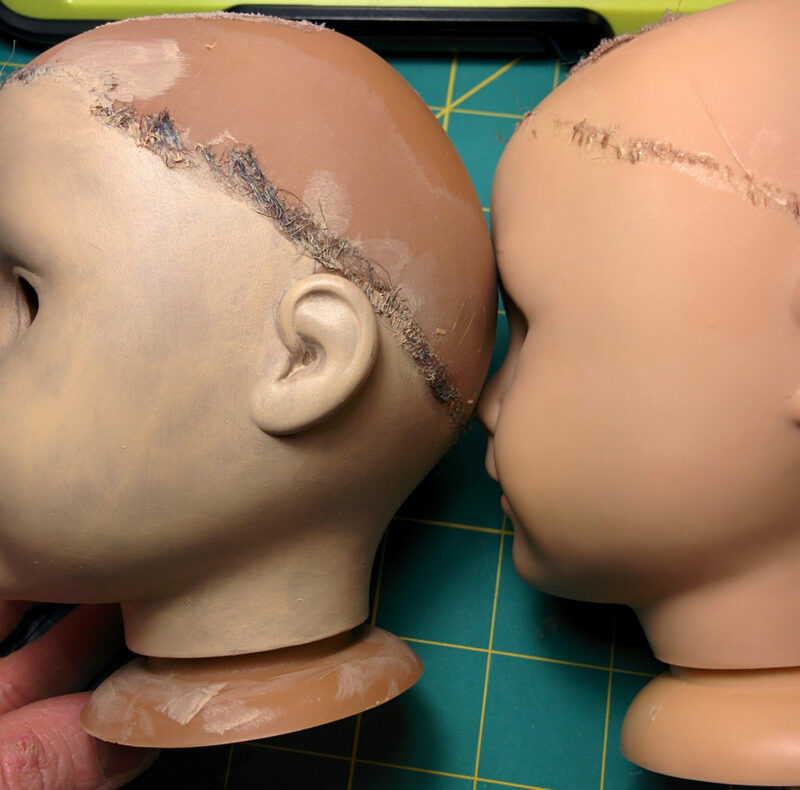 So, here’s hoping I can repair that damage and get his face-up done. Stay tuned for the next episode of the Making of Team Free Will! I’m also a BIG Supernatural fan! Can’t wait to see the finished products! Would love to see a Charlie doll as well. Ooooh and a Bobbie. LoL good luck and have fun!!! I so so so so love supernatural and was going to try to customize them myself just haven’t gotten the stuff yet to do so. I cant wait to see how they turn out. Thanks! I was hoping to finish the trio before GISHWHES started but that didn’t happen. I’ll have to finish up this fall.